Teacher Tom: "He Knows How To Tie!" "He Knows How To Tie!" A couple weeks ago, a child asked if I had some rope she could use. My knee jerk response was to tell her to hunt for some on the playground. When she came back empty-handed, I joined her search. 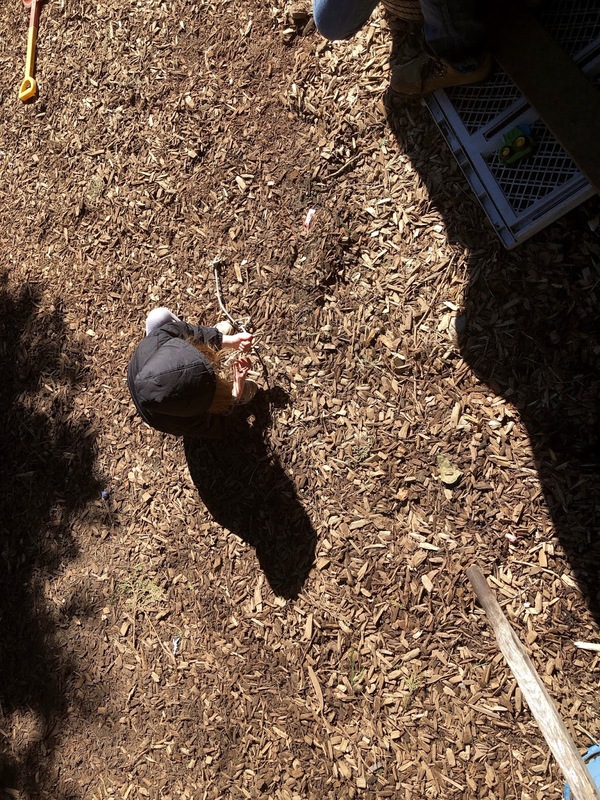 It was only then that I realized that every bit of rope in our junkyard playground was already occupied. 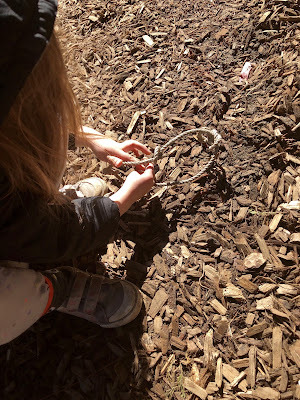 We generally have at least a dozen four to six foot lengths of rope around the place, but the only ones I could find where already tied around tree branches or bucket handles or ladder rungs or were otherwise semi-permanently engaged. Fortunately, a parent had recently donated a coil of lightly used cordage so instead of painstakingly untying all the old ropes, I cut off a dozen fresh pieces. 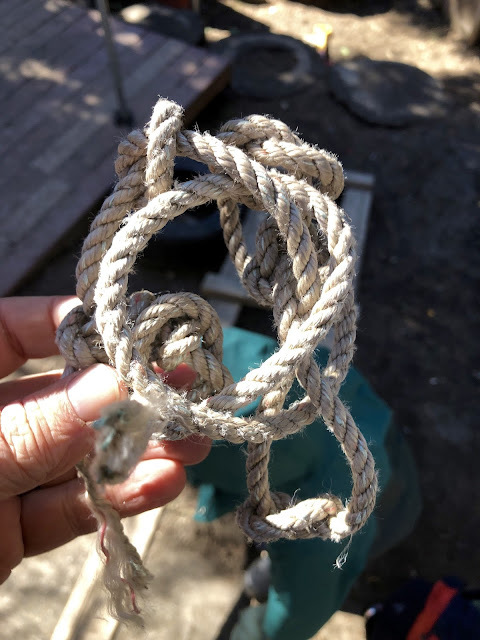 Yesterday, I thought to re-survey our rope situation and to my consternation, could only find two of the new pieces still existing in their unknotted original state. Many had disappeared into the "bad guy trap" which continues to thrive, sucking up everything that's not nailed down, but I also discovered several tied around tree branches or bucket handles or ladder rungs. 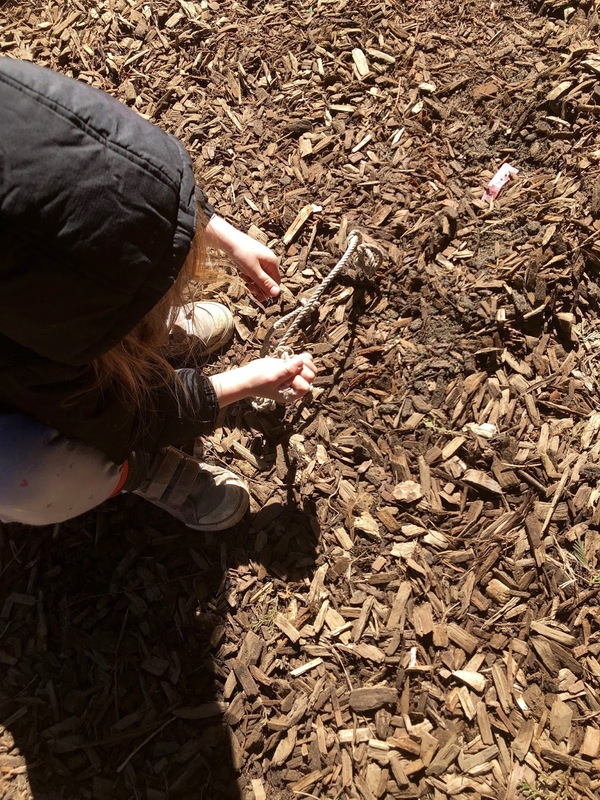 Rope has been a regular part of the life at Woodland Park for more than a decade now, reigning alongside the loose part royalty of sticks, car tires, shipping pallets, leaves, pinecones, and planks of wood. 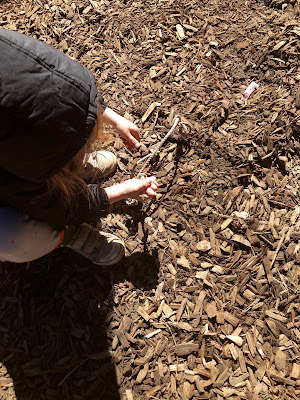 Over that time we have generally had one, or maybe two, kids who are actually capable of tying ropes into knots. I know this not through my own close observation, but rather that of the children, who, when rope tying was been required, have typically sought out the kid who could do it for them, "Let's get Johnny, he knows how to tie!" Indeed, "tying" has traditionally existed as a kind of superpower, like whistling or snapping fingers, that only a few of us have mastered. It dawned on me yesterday as I took stock of our ropes that we must have far more than one or two skilled rope-wranglers around the place. 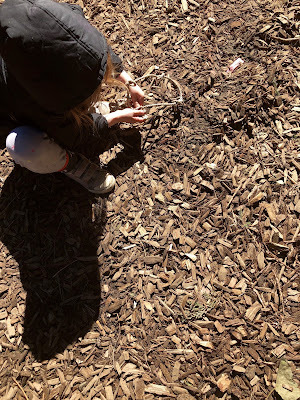 Indeed, as I further investigated, I found that at least half of our four and five year olds were confident in their rope skills. That's right, rope tying appears to have gone "viral" at our school. 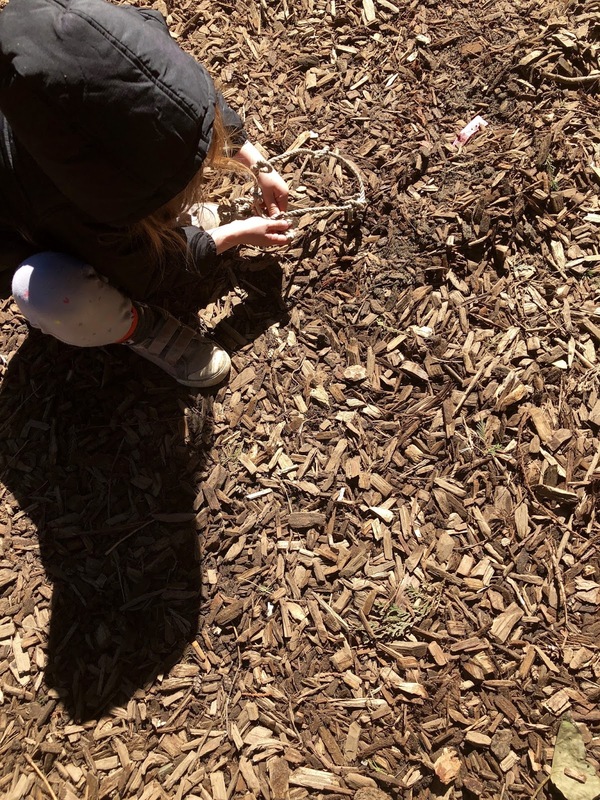 In fact, some of the kids could even tell me which of their friends had taught them, or rather, as one boy told me, "I just watched him do it, then I knew how." The photos accompanying this post are of a girl who responded to my inquiries by using the last piece of unknotted rope to demonstrate her mad skills to me. I guess it's time to cut off a few more fresh lengths. "Teach By Doing Whenever You Can"
What To Say Instead Of "Be Careful"